Dole Food, Inc. has recalled over 756 cases of its bagged salad. The cases were distributed to 15 states. The company said the bagged salad had been linked to possible contamination of salmonella. 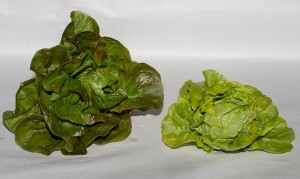 On Saturday, the fresh vegetable division of Dole announced a recall of the cases of bagged salad sold as Seven Lettuces. The bags have product codes of 0577No89112B and 0577No89112A. The dates they need to be used by are marked on the bags as April 11, 2012. Dole recommended that consumers throw out any of the bags of the recalled lot that they find. Dole also said it contacted all the retailers where the salads had been sold to make sure those in question were not available to be purchased by consumers. Consumers can find the use by date and product code on the upper right hand part of the package. The UPC code for the product is on the backside of the package under the barcode. Dole has also said it was coordinating everything with officials from regulatory agencies and that no one has reported any illnesses due to consuming the lettuce. New York State health officials conducted a sample testing of the lettuce and it came back with a positive result for salmonella. Therefore, the company decided to have all the bags of lettuce recalled. Salmonella’s most common symptoms include abdominal cramps, diarrhea and a high fever within the first 8 to 72 hours after contaminated food has been consumed. The illness at times can be quite severe and life threatening for older people, people with immune systems that are weakened, pregnant women and infants.